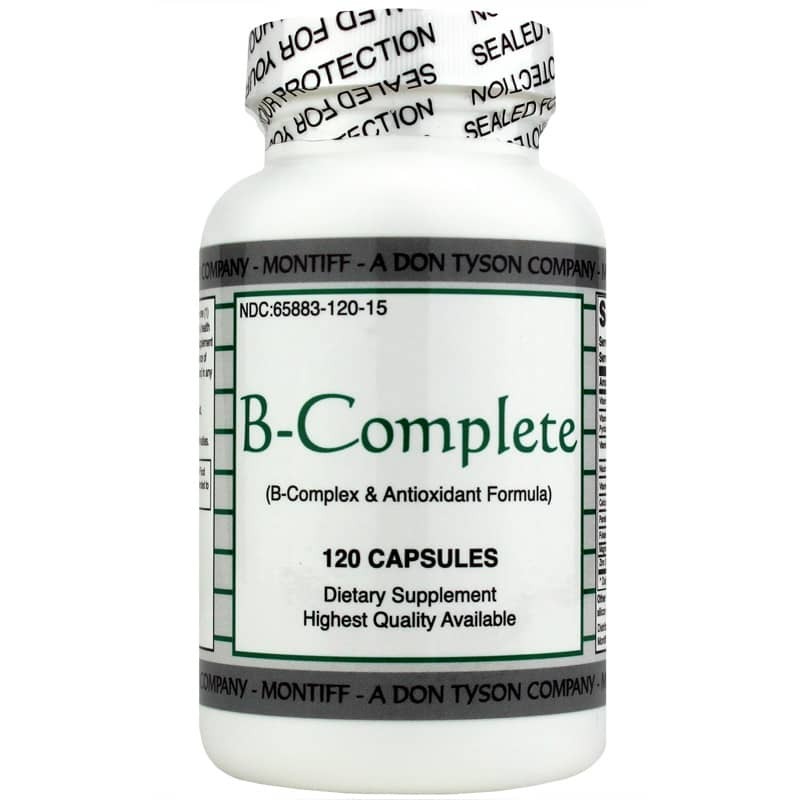 Montiff's B-Complete is a B-complex and antioxidant formula that may help support the metabolism needed to produce energy from foods and the production of red blood cells. As well as all the essential B vitamins, including the active forms of B-2 and B-6, this formula includes antioxidants for extra protection against free radical damage. This aids in metabolizing amino acids, carbohydrates, and lipid synthesis. As well as maintaining proper neurotransmitter function and a healthy nervous system. B vitamins are so essential for proper bodily function that a complex containing all of them may greatly contributes to a healthy nutritional program. Our body needs B vitamins to help metabolize amino acids, carbohydrates, and fats, to generate energy from the food we eat. They also play a role in producing red blood cells, which transport oxygen to every part of our body. A common amino acid, homocysteine is found in your blood and usually comes from eating meat. High levels of homocysteine have been associated with the early development of heart and blood vessel problems. They have also been connected to low levels of vitamin B-6, B-12, and folate. Antioxidants are molecules that help combat free radicals, which can damage healthy cells and result in aging and degenerative diseases. Other Ingredients: gelatin, may also contain microcrystalline cellulose, silicon dioxide, and vegetable stearic acid. Contains NO: starch, corn, milk, wheat, yeast, sugar, eggs, salt, artificial colors, binders, flavors, preservatives or fish derivatives. Adults: As a dietary supplement, take one to two capsules daily, or as recommended by a healthcare professional. To be used as a dietary supplement in a normal food program. Another world class supplement from Don Tyson, owner of Montiff. I use his free form amino acids and this for amino acid conversion. Just 1 a day is a good deal considering all of the antioxidants it contains.